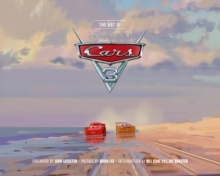 Preface by John Lasseter * Foreword by Brian Fee * Introduction by Bill Cone and Jay Shuster Pixar Animation Studios presents The Art of Cars 3, a behind-the-scenes look at the concept art from the latest film in the popular Cars series. Fascinating storyboards, full-color pastels, digital paintings, and more offer a unique perspective into the beloved world of Lightning McQueen and his friends, new and old. With a preface by John Lasseter, foreword by director Brian Fee, and an introduction by production designers Bill Cone and Jay Shuster, The Art of Cars 3 is a scenic road trip through a masterfully animated film.